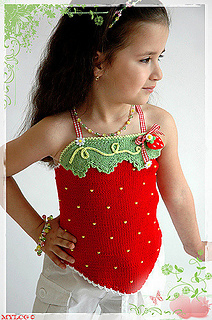 Another Halter Top from Fruity Fun collection for strawberries fans! Can be made from any medium worsted yarn. 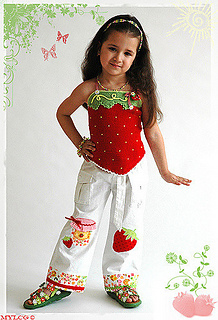 Made in Apron style, this halter is so easy adjustable and can be worn as a top in warm time or paried with matching top, blouse. 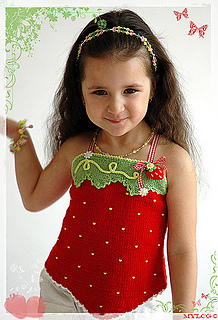 This pattern does not include instructions on how to knit. Basic knit knowledge is needed, as is the ability to read a pattern.